You are here: Go to home Breadcrumb Separator Leisure Centres Breadcrumb Separator Cornwall Breadcrumb Separator Saltash Leisure Centre Breadcrumb Separator News Breadcrumb Separator Are you one of Cornwall's Talented Athletes? GLL's Sports Foundations Application window is now open to athletes from across Cornwall, closing date 20th February 2019. 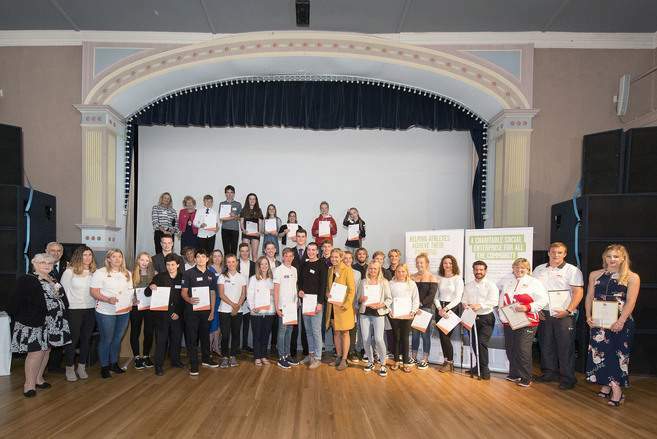 Last year, 95 athletes from Cornwall received support through the foundation, funding equating to approximately £47k. Athletes like Paralympians David Wetherill (Table Tennis) and Melissa Reid (Triathlon), Mixed Martial Arts Specialist Kate Jackson, , from Lostwithiel; Basketball Player Matthew Marsh, a former Penair Pupil who has now moved to Spain after securing a scholarship with FC Barcelons's Basketball team, and windsurfer Finn Hawkins, from St Austell who claimed Team GB's first individual medal of the 2018 Youth Olympics in Buenos Aires, all receiving assistance through the foundation. Nationally over the 10years of the Foundation 16,200 athletes have been supported with an approximate funding of £9,200,000.00.